Be the man of the house for a day and let dad take a little breather this Father’s Day. Wash the car, take out the trash, and do a little fixing of broken things. But more than that, consider what dad would like to do on his day off. Whether it is catching up on his sports programs and TV series, listening to his favorite music, pampering himself with a shave or simply lounging on the couch with a cup of coffee, there are always the best ideas to make these simple joys even more special for dad. 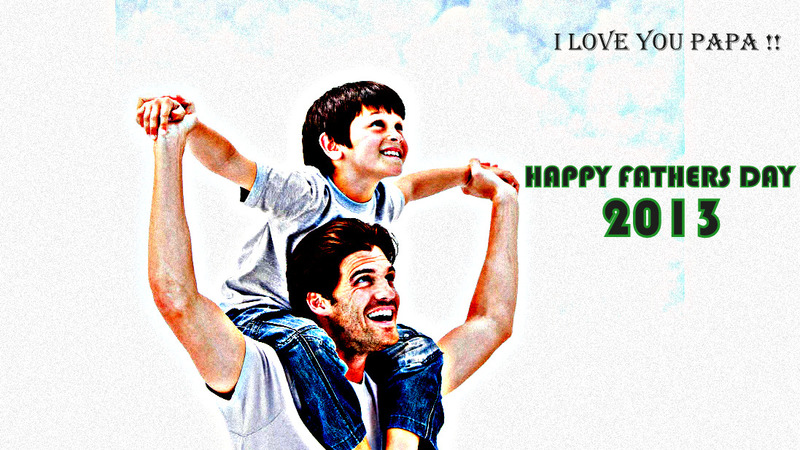 On the third Sunday of June 2013 which fall on the 16th, Father's Day will be celebrated to honor our dads. We feature here the top 5 products suited for our beloved fathers on their special day. Philips, a global company and the leader in innovations in health and well-being has the best offers for Father’s Day 2013. Watching movies, live sports, and TV series will feel as real as can be with the Philips 5.1 Home Theater HTB5540D. With crisp, high definition, distortion-free sound, it will be as if dad was actually in the middle of all the action, instead of on the couch. Distortion is lessened courtesy of a 15mm soft-dome, horn loaded tweeter. The ribbed speaker cone is 3x stronger than a regular cone for perfectly balanced frequency response. Full HD 3D Blu-ray offers a truly immersive 3D movie experience as well. But because it’s Father’s Day, the key is for dad to relax, right? Hence, everything must be easy to operate. The Philips Home Theater is designed with a touch panel for intuitive playback and volume control. Furthermore, it’s featured with SmartTV, offering a wide range of features including online services such as video-on-demand, and easy access to your multimedia files stored on your PC or smart phone. Connectivity is also very flexible as the Home Theater is equipped with HDMI, SimplyShare, built-in WiFi and Bluetooth — all of which allow you to play media wirelessly. You can also play and charge your iPod or iPhone via USB port. 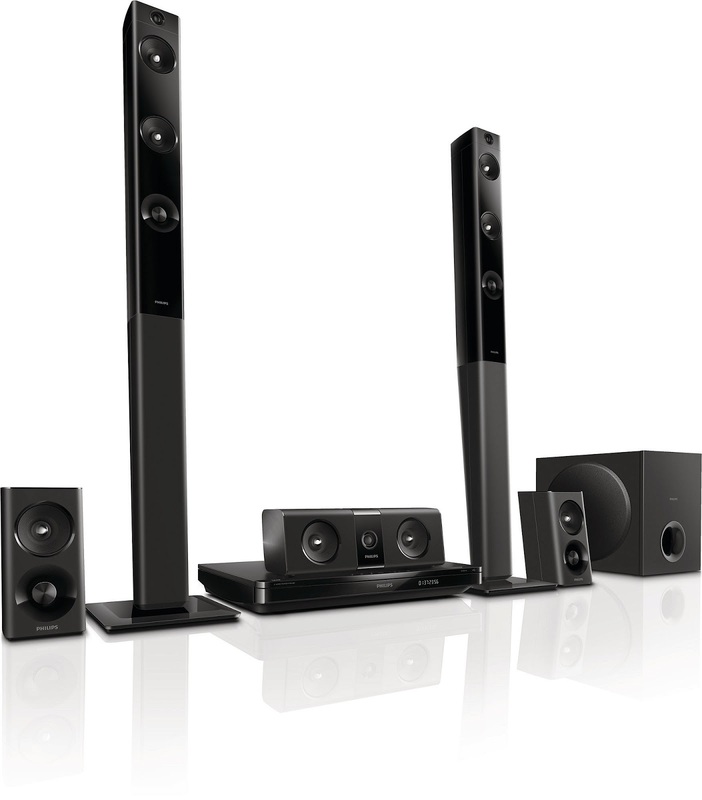 If dad is fond of playing music around the home, then the Philips Micro music system DCM3155 should do the trick. Compatible with the latest iPhone 5's Lightning connector, this Philips micro sound system features wOOx technology that delivers deep and powerful bass. The angled speaker design gives a wide stereo audio experience as well. Dad can also enjoy playing his music from different sources. Apart from playing and fast charging through a Lightning connector for an iPhone 5, music can also be played via MP3/WMA-CD, CD and CD-RW, USB Direct and Audio-in. Add the sleek mono block design to the high fidelity sound reproduction and compatibility features, and this speaker should no doubt put a big smile on dad’s face. Just because it’s a day of relaxation, it doesn’t mean that dad shouldn’t look spiffy, especially for the coming days. Present him with the Philips AquaTouch AT890 and see him happily shaving all the time. This wet and dry electric shaver is the secret to a smooth, clean shave. Designed for use even while in the shower, the AquaTouch offers both a comfortable dry shave as well as a refreshing wet shave with Aquatec seal which optimized for use with shaving gel or foam.This means enhanced skin comfort and minimal skin irritation. In addition, it utilizes DualPrecision shaving heads that have slots to shave normal hairs and holes to shave even the shortest stubble and is fully waterproof with QuickRinse system to clean. Since it is Father’s Day, nothing really beats enjoying some much needed rest and relaxation with a nice cup of coffee in hand. 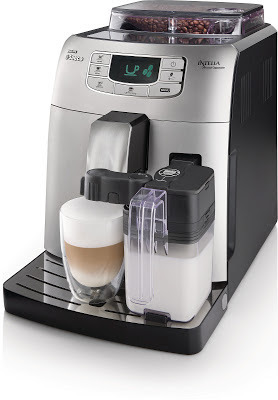 The Philips Saeco Intelia One Touch Cappuccino HD8753 will allow your dad to brew great tasting espresso and cappuccino, from bean to cup, at just a push of a button. The Intelia features an integrated automatic milk function with easy refill that allows for a very customizable and satisfying cappuccino. Furthermore, the Intelia lets you adjust coffee strength and temperature for a perfect cup of espresso, while its ceramic grinders preserve coffee aroma and flavors. The Intelia is also easy to clean with its automatic cleaning and de-scaling. Want to make your dad’s smile more radiant than ever? Give him the perfect tool that will achieve a healthy white smile with Philips Sonicare HealthyWhite power toothbrush. In just as little as two weeks, the HealthyWhite toothbrush promises to remove everyday teeth stains with its unique Clean and White Mode. It also helps users follow the dentist-recommended time for brushing with its two-minute timer and Quadpacer interval timer. Not only will your dad receive the recommended brushing time, he will also enjoy superior cleaning. The Sonicare HealthyWhite features a dynamic cleaning action that drives fluids in between teeth, and comes with an angled brush head to access hard to reach areas of the mouth. This perfect father’s day gift also improves oral health and gives users a customized brushing experience. All things considered, the best gift you can give your dad this Father’s Day is still your time and love. Don’t miss this chance to tell him that his hard work does not go unnoticed and show him how much you truly care for him.